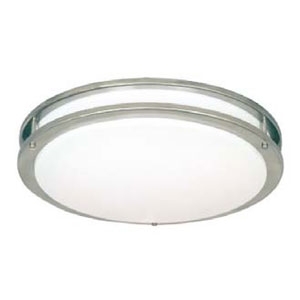 The ACULED Enclosed Drum Luminaire features an opal diffuser that envelops the fixture housing in a smooth, architectural line, with accent on simplicity of design. Available in two 14” and 16” sizes. 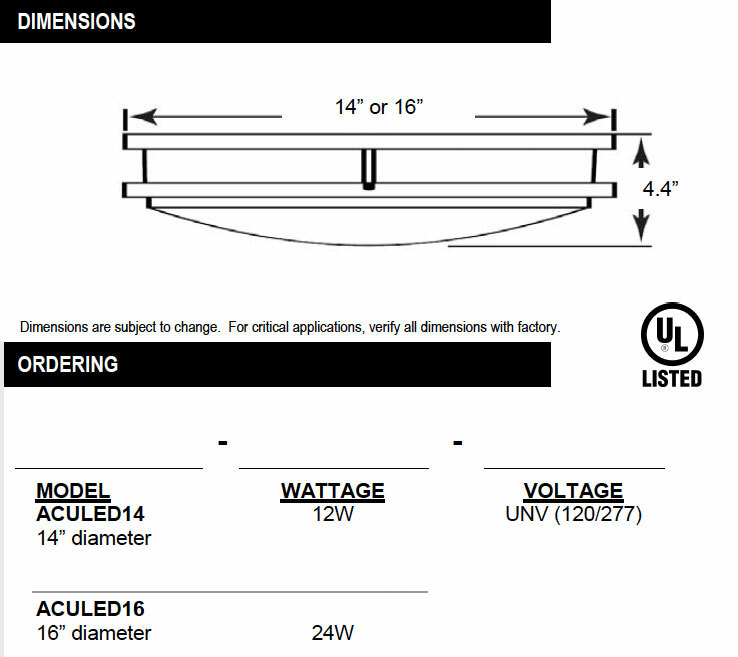 Designed for ceiling surface mount or wall mount. Available in optional white powder coat finish. A 12W LED is comparable to 50W HID. A 24W LED is comparable to 70- 100W HID. Die-formed heavy gauge steel housing. High-efficiency electronic constant current Class II 120/277V driver. Standard in 5000K. Consult RLE for other Kelvin temperatures. Satin nickel finish is standard. Optional white powder coat finish available.